What in the world is a capitalization table? 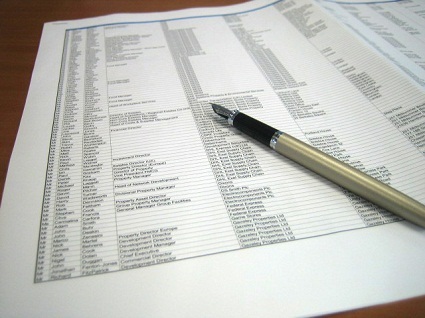 The “cap table” is a document (usually excel) for keeping track of who owns what in a startup. The type of entity that utilizes a cap table is usually a corporation. This wonderful spreadsheet tracks percentage of ownership in a startup especially through the different stages of investment rounds. In addition, keeps track of the type of investments made (convertible note, preferred share, common stock, option). If you are an entrepreneur looking to scale your company with multiple rounds of outside investment you should have a commanding knowledge of what a capitalization table is and why one is used for raising capital in a venture. This will be a requirement on the Term Sheet. It’s no secret that I personally prefer creating “lifestyle” companies rather than setting up and preparing a company for multiple rounds of investment with stock options, dilution criteria, substantial burn-rates and the hopes of large exit. Regardless of my preference for startups the capitalization table has created many multi-billion dollar companies in Silicon Valley and beyond. If these companies even attempted to operate without a cap table it would mean certain death for early stakeholders in the startup when future rounds of investment came along or an acquisition takes place. Can you imagine what Facebook’s cap table looked like just before IPO? Probably the best description and available resource for cap tables is by Babak Nivi over at VentureHacks. You can also grab a downloadable cap table template for $9 bucks. If that is still a little pricey for your blood than grab this free template. If you’re still a bit lost and excel is not your thing you can try a very cool cloud based cap table management solution called Truequity. The company offers free service for a founder with an upgrade path as your business grows. Truequity is definitely filling a very specific need in the startup value chain. The step by step wizard can be very helpful for the first time entrepreneur doing all the tricky calculations in the background.